For small business owners, freelancers, and entrepreneurs it can be difficult choose between a virtual office vs. a traditional office. 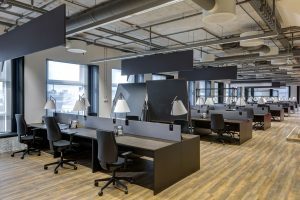 Knowing the difference between virtual office spaces and traditional physical office spaces could help you decipher which one is the right solution for your business. It all depends on what your business stands for and what it requires to help it grow and prosper. For companies that are still in their infancies, it might make more sense to rent a virtual office space, whereas companies that are already well established and financially stable might benefit more from leasing a traditional office space. With the advent of advanced and constantly evolving telecommunications, renting a virtual office space offers your company the convenience and reliability of maintaining face-to-face contact with your employees and customers alike even if you are separated by long distances. These days, there are so many different ways you can reach your employees in order to relay key company messages without having to resort to sending mass company e-mails and memos. FaceTime, Skype, WhatsApp, and other, similar technical applications have made it possible to communicate with your staff opportunely, effortlessly, and without interruption. This is an excellent feature if your work requires extensive domestic or international travel. On top of that, renting a virtual office space means that you will always have access to a complete staff that is reliable, professional, and ready to work for you. This includes full telephone and e-mail communication services, Internet connectivity, a real working address, as well as access to an IT department. All of this will be included in your rental package, and the best part is that you will also have access to a fully functional and furnished physical office space whenever you need it. This will help you save on the cost of renting a full-time traditional office space that might not even meet your business needs. Traditional office spaces consist of brick-and-mortar buildings that house working environments. For businesses that require a great deal of on-site meetings and collaborations amongst employees and clients alike, this might be the more sensible option. If you predict that your company requires a great deal of teamwork amongst your employees, it might be a lot easier to have them all working under one roof and within close quarters. This affords you the opportunity to maintain a closer working relationship with all of your staff members, which could result in higher employee morale and therefore create an incentive for greater work ethic. Just make sure that the location you choose for your traditional office space is central and easy to access for all of your employees and customers. Innovative Professional Offices is committed to helping your business succeed in every way possible. All of our services and rental plans—whether you are looking for a traditional office to rent or a virtual rental office—are fully customizable to meet your standards. We have a wide selection of affordable packages to best fit your business needs. Contact us today to learn more about our business call answering services.